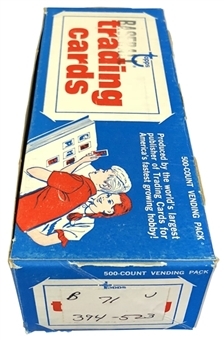 An unopened 500-Count vending box is presented. 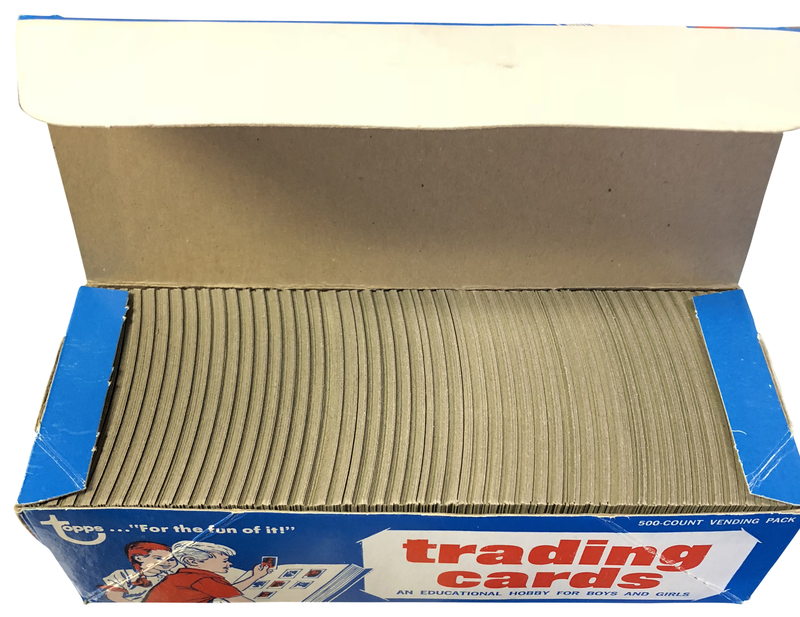 Holding cards that emerged from the printing process, underwent packing by efficient automation and left the factory without ever being exposed to human contact, this tantalizing box incubates a hoard of never-touched, black-bordered collectibles. 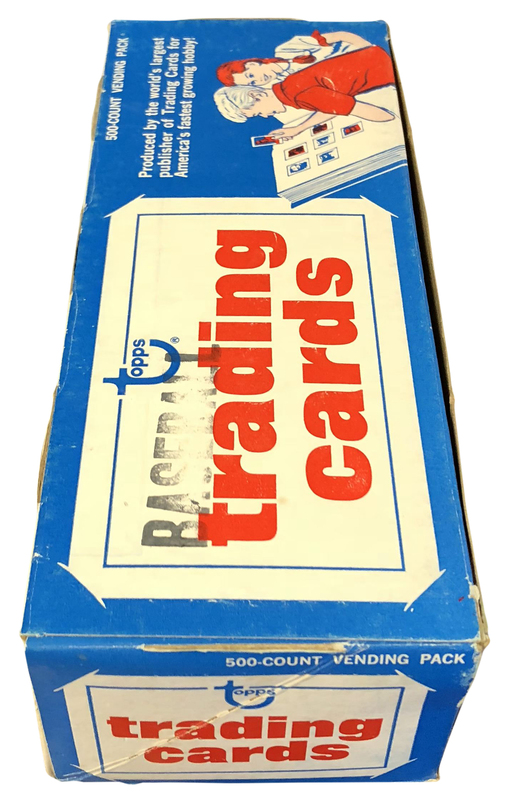 The box contains untouched cards from the 1971 Topps Baseball issue's 4th Series (#'s 394-523), which includes Nolan Ryan and Hank Aaron. 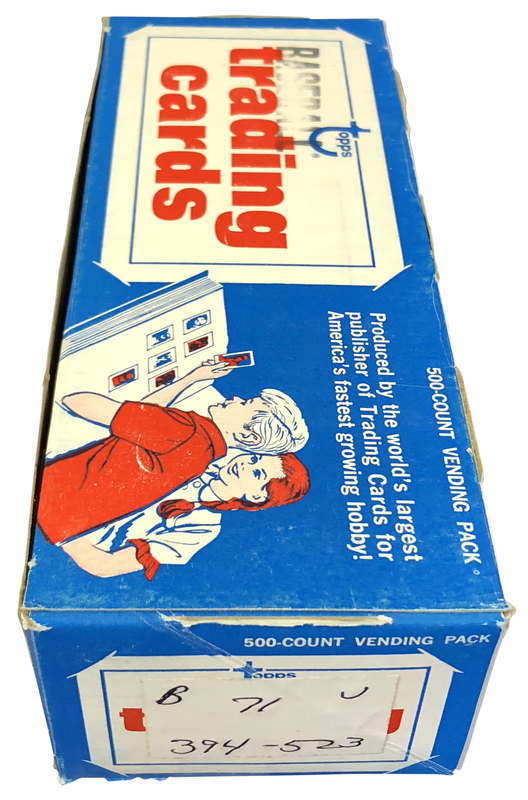 Vintage unopened vending boxes are seldom offered, and they're becoming increasingly difficult to obtain in today's market. 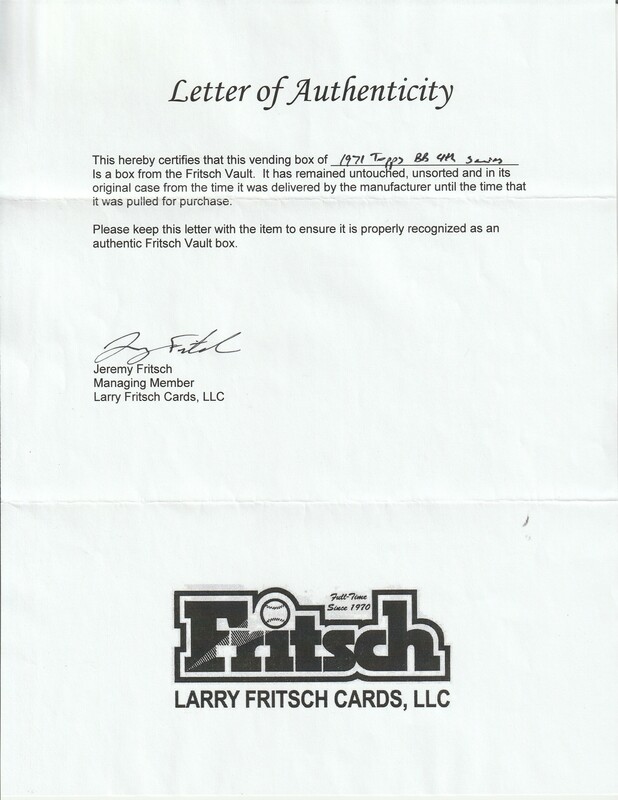 Direct from the Fritsch Vault (still sealed and untampered-with in its protective white box), and accompanied by Fritsch LOA.